Darwin and the Northern Territory now has the capacity to deliver high risk emergency response training, thanks to a new world class fireground facility that opened at Charles Darwin University in August. Operated by ERGT Australia, the fireground uses multiple props with fire and smoke to test participant responses to internal and external fires. Scenarios involve structures, flammable liquids and gases, with the exercises designed to replicate potential situations that could arise at hazardous facilities. 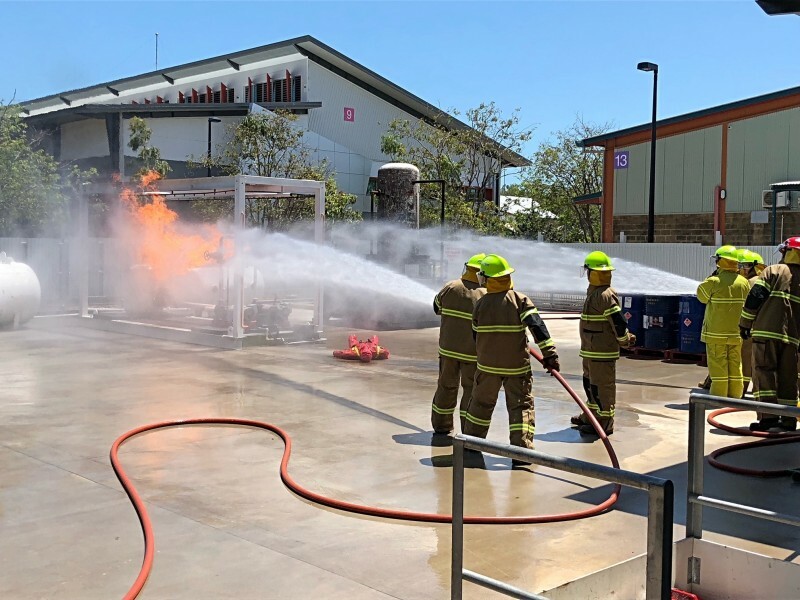 Six operators from Darwin LNG have just completed the first round of fire training at the fireground, with more to follow. The completion of the facility at CDU means industry needs and competencies can be met, maintained and delivered locally. Previously, such specialised training required travel to Perth. The $2.3 million facility, a collaboration between the NT Government, ERGT and CDU, enables high level emergency response training in simulated disaster environments for industries including oil and gas, maritime, industrial and defence. It forms part of CDU’s North Australian Centre for Oil and Gas (NACOG) and will be accessible to industry and students.